We are an award-winning residential landscape design, construction, and gardening company serving the East Bay and Contra Costa County. We have 25 years of experience creating and caring for beautiful gardens and providing excellent customer service. We practice sustainable, place appropriate landscaping that gives back to the world. Ascent Landscape and Design Inc.
We at Ascent are committed to providing excellent service for all your residential and light commercial landscaping needs. We've been in business for over 25 years and have built a reputation in the local community and the landscaping community at large as one of the top landscaping companies in the area. Whether your needs encompass an entire overhaul of an existing location or simply the design and layout of a new space, Ascent will work with you to beautify your world at a price you can handle. Many on our staff have extensive training and schooling and all have the experience that sets Ascent apart from the competition. Compare our designs, installations, and prices with our competitors and we're sure you'll agree. There's only one right choice for quality landscape design and construction in the tri-county area. That choice is Ascent Landscape. 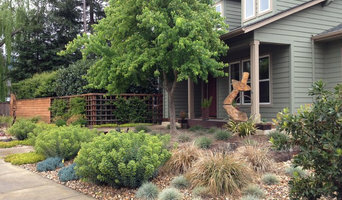 Great Scapes Landscaping specializes in residential landscape design, installation, and maintenance services, serving Napa & Sonoma, and also the greater North Bay area. 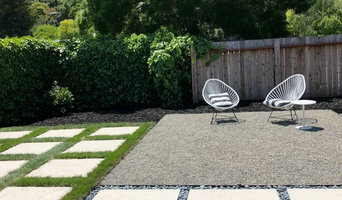 We utilize a broad range of landscaping techniques in order to make our clients' outdoor living experience a rewarding one. Our goal is to emulate the beautiful countryside in which we live. Founded in 1981, Great Scapes has been committed to capturing each client’s personality in our landscape designs, while creating outdoor gardens that compliment the architectural features of your home and your area’s natural terrain. We provide landscape designs and a wide range of hardscape services as well, such as patios, decks, and retaining walls. Another specialty of Great Scapes is irrigation system installations and drainage solutions, Our landscaping services consist of three phases. After thoroughly evaluating the property and consulting with the client, we create designs and offer schematics. Next is the planting and building phase, using plants and hardscape materials that blend the landscape with the environment. Lastlly, we offer landscape maintenance services for your lawn and gardens, on a weekly basis, or as needed. Whether you need lawn maintenance or a complete landscape design, get in touch with Great Scapes Landscaping for your free estimate today! 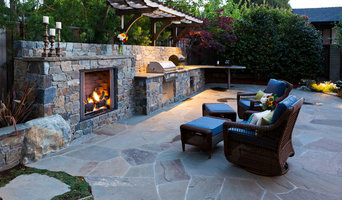 Frank and Grossman Landscape Contractor, Inc., is a full-service outdoor construction company that has been serving the Bay Area since 1981. We presently hold Landscape Contractor´s C27 and General B building construction licenses. 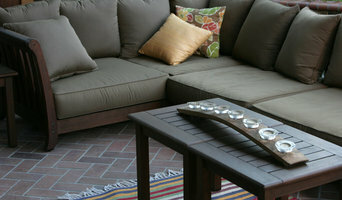 We specialize in the construction and maintenance of custom residential and commercial projects. We work directly with homeowners, landscape architects and designers to make unique outdoor environments. Our strength is handling projects that involve a variety of trades such as carpentry, masonry, fencing, craning, rigging, specimen plant material, rocks, hot tubs and pools, water features, irrigation and lighting. The company currently has over 100 skilled landscape personnel ranging from laborers to irrigation and lighting specialists to old world masons. Jobs are supervised by certified landscape technicians. Our outstanding personnel combined with Myron Grossman´s and Bill Goode´s personal supervision, hands-on management and rigorous dedication to quality have won the company many awards on the state and local levels.